The Product Dashboard below is required by law and you can use this dashboard to compare AMIST MySuper with other MySuper products. Go to ASIC’s MoneySmart website for more information on how to pick the right MySuper fund for you. 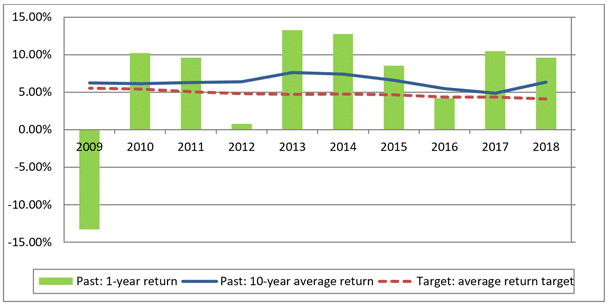 Returns take into account past investment history of AMIST Balanced, being the default investment option offered in AMIST prior to commencement of AMIST MySuper. Return target for 2019-2028 of 3% per year above inflation, after fees and taxes. Future returns cannot be guaranteed. This is a prediction and returns ultimately achieved may be materially different from this target. The estimated number of years of negative net investment returns is estimated to be 3.8 out of every 20 years. Statement of fees and other costs assumes a member with a $50,000 account balance fully invested in AMIST MySuper. Also, the stated amount does not reflect all the fees and costs that may apply (e.g. activity fees and insurance fees are not included). The information in this Product Dashboard may change from time to time. 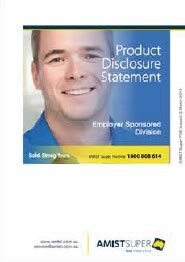 Please refer to the Product Disclosure Statement before making any decision relating to your investment in AMIST.